Travel Alberta held an open house conference at the Heritage Inn in Pincher Creek on November 20 that focused on marketing strategies and the Travel Alberta brand. The day-long conference was attended by approximately sixty people who's livelihoods are directly related in the tourism industry. 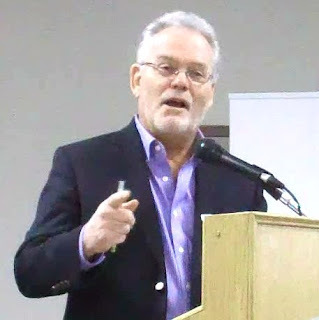 Wynn McLean, Travel Alberta’s new Vice-President of Community Relations, was an enthusiastic opening speaker. McLean covered a wide variety of topics including the positive impact of the recent Travel Alberta 'Remember to breathe' ads that have had over one million hits on YouTube. There will be more commercials to come in the future created from both previously shot and new footage. Some of the positive increases in the tourism economy McLean mentioned included Frank Slide with an increase in attendance of 7%, both Calgary and Edmonton airports with a marked increase in arrival passengers, and the Reynolds Museum with an attendance increase of 47% over the summer months compared to the same time period the previous year. McLean mentioned that funding to the Canadian Tourism Commission has been cut, and juxtaposed that with efforts being made in the United States. "President Obama has recognized that tourism is an important factor for their economy he has put 200 million dollars into marketing 'Brand USA' to people in the U.S. and internationally. The first three markets they picked have been Canada, UK, and Japan." Just as Alberta would like to attract tourism to our province, according to McLean we are being targeted to take our vacation dollars to other destinations. Other provinces, the United States, Mexico, Cuba, and even Afghanistan are being targeted directly to Albertans. McLean encouraged partnerships and collaborations within and outside of the tourism industry. He talked of the increased exposure that Alberta will receive through partnerships with Roots and Billabong, both of whom have recently held photo shoots in Alberta to market their clothing lines. "If you want to travel fast, travel alone. If you want to travel far, travel together," he said. Other presenters included Bev Thorton and Bob Dyrda of Alberta SouthWest, Laura McGowan of Alberta Tourism, Parks and Recreation, and by Chinook Country Tourism Association Director of Marketing Colleen Bridges. Each explained their organizational initiatives and presented a number of opportunities for partnership. Following the presentations there were round-table discussions on a number of topics including the Travel Alberta Tourism Information System, media relations, and industry relations. Travel Alberta staff were available to share their expertise and offer advice and to hear from the people that are involved directly with tourists.